Getting a new job is not the easiest thing in the world and we have spoken about some of the points. Today we want to stop on a small yet very important: the thank you note after the interview. However small and unnecessary it may seem, it may be the thing that sets you apart from other candidates. So let’s discuss what makes this small letter so important. First of all, it’s about courtesy. Remember how much time you have spent finding the job, writing an appropriate CV and cover letter, waiting for that call nervously. The person who has just interviewed you did the spend a lot of time too. It will be nice to them to say thanks. The thank you note will also speak about your soft skills like appreciation and communication, this is what most companies look for. That’s also a way to show your further interest in the position. Timing: You don’t want your thank you note to be there just after you leave the building and you also don’t want to be late. Make sure you send it within 24 hours when the interviewer has fresh memories of you. Method: The second question is how to send the letter. The most common way is sending an e-mail but there is another way that could help you. Go with the way they contacted you. Content: Including what you have already sent them is not the best idea. Make sure to start with a salutation. Say thanks for their time, note something special that could remind them who you are and sent you apart. Close with an expression of gratitude. It’s also a great way to include the reference you were asked for in the interview. Format: Keep it short enough not to tire and long enough to carry value. Two or three paragraphs would be just enough. Thank you notes can really change the way hiring managers think about you. If you write it correctly it will raise your chance to get hired. 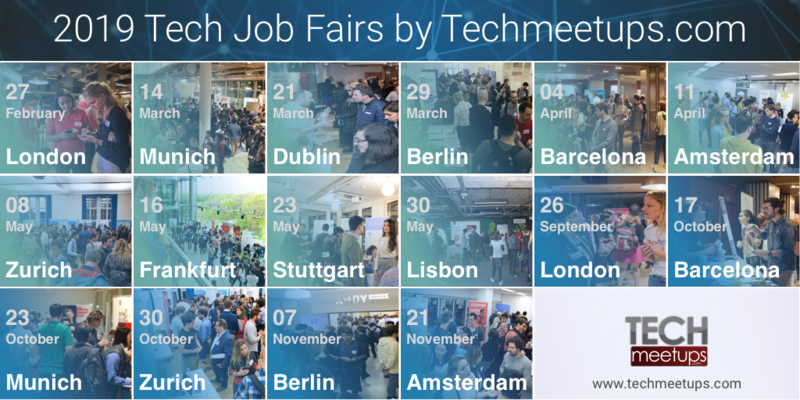 Make sure to visit our Tech Job Fairs in different cities of Europe to meet the teams of the leading companies in person. This is your chance to find your dream job!